During the Gran Chaco War with Bolivia, both sides used a variety of private purchase and foreign-made sun helmets. 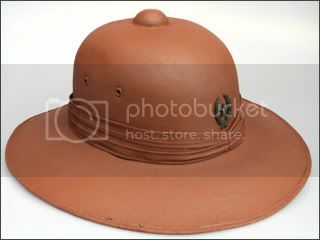 This example is a Paraguayan used sun helmet, likely of Argentinean origin. 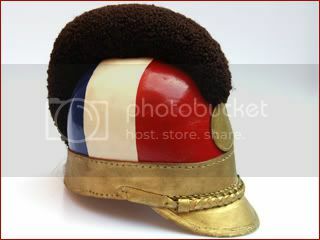 It features an officer's cap badge on the front of the helmet. It has been covered with a waterproofing paint, which matches the color of the tanks and planes used the Paraguayan forces. 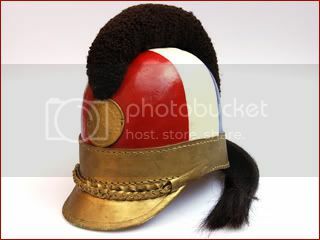 This example is the same basic shape of the Paraguayan Cavalry helmets that were used from since the end of the 19th century. This is probably a post WWII example, but it is still a unique helmet. 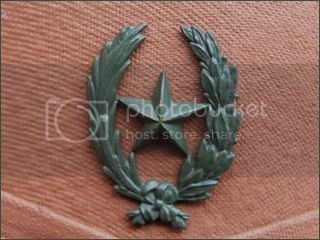 Dress helmet of the 4th Cavalry Regiment of 'Acà-Carayà', which saw action in the War of Chaco (1932-35) against Bolivia. This example is from the post World War II era, but maintains the basic shape. The original helmets actually had monkey fur at hte top of this lancer helmet, but this was wisely replaced with something that just resembles it!